A floral and arboreal oasis in the centre of Minehead. This Victorian jewel in Minehead’s crown is spread over six acres and is popular with both visitors and locals alike. In the summer you can catch bands playing on a Sunday afternoon, or why not try your hand at golf on the 18-hole putting course. 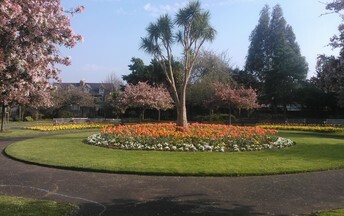 There is also a cafe and plenty of seating areas to enable you to take a break and enjoy the colourful floral displays.